G-Tower in Songdo, which boasts a convention facility with 350 seats, has attracted a number of international organizations including the Green Climate Fund (GCF), which has become the first UN organization to operate in Asia. From the open terrace of the Sky Garden on its 29th floor, visitors can enjoy an impressive view of the Songdo International Business District, Songdo Central Park, Incheondaegyo Bridge, and the West Sea. In March 2015, the IFEZ (Incheon Free Economic Zone) PR Hall was opened on its top (33rd) floor to publicize the development and performance of Songdo International Business District and Incheon Free Economic Zone (Songdo, Cheongna, Yeongjong) to visitors and investors. Northeast Asia Trade Tower, the landmark of Incheon Songdo International City, is the highest building in Korea standing 305 meters (68 stories) high. The building holds the offices of Korean and overseas companies such as the multinational enterprise Daewoo International, as well as the residence hotel "Oakwood Premier Incheon Hotel". 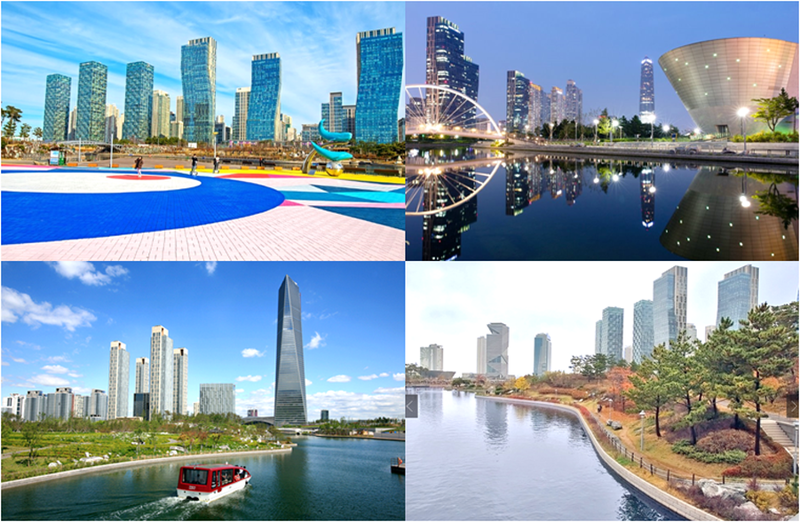 The park has become popular with families in Songdo and Incheon, and draws day-visitors from the Seoul area. The forested area in the park also fills with daytime tents and campers on weekends. A patio on the east side of the park has cafes and small restaurants, and canoes are available for rental. A water-taxi service crosses the lake for transportation and tourism. Central Park is accessible from the nearby Canal Walk shopping court or by Central Park Station of Incheon Metro Line 1. 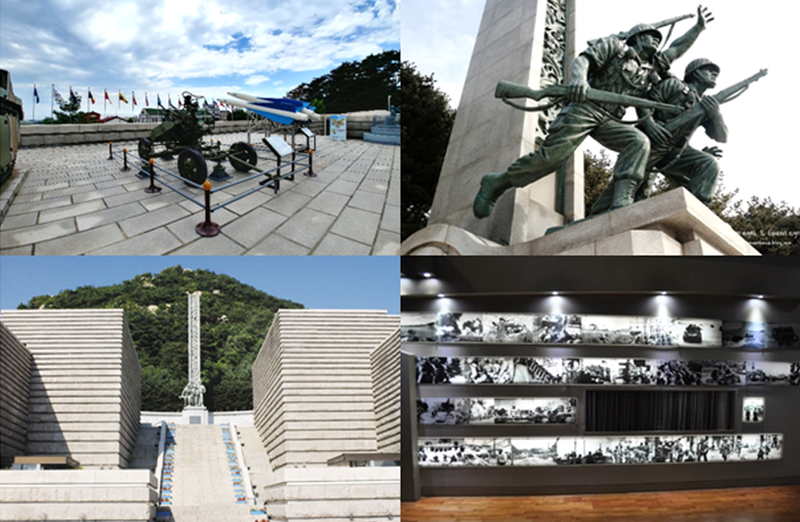 Incheon Landing Operation Memorial Hall was constructed to commemorate the Incheon Landing Operation at Shido Island, launched under the command of General MacArthur (the Commander in Chief of the U.N. Forces) during the Korean War. 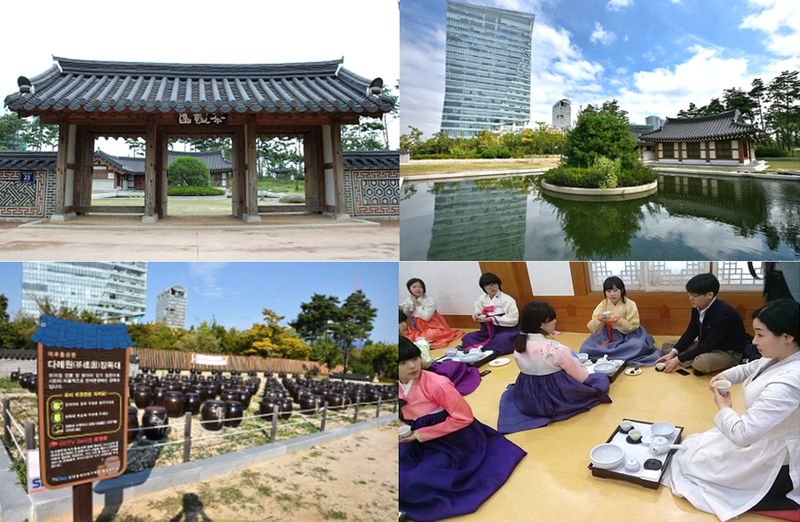 Daryewon Program of introducing traditional Korean culture includes Tea Ceremony, Traditional Korean Etiquette, Hanbok (Traditional Korean Attire), Photography, Making Rice Cakes, Traditional Play Experience, Macrame and more.